After searching for years I've finally found a highlighter that actually looks like real shiny, dewy skin and not just shimmer - wearable for both night and (most importantly) daytime. My clients love it, I love it - it's just glorious. I've tried the product before in a different shade and while I did like that one as well, this one is just on a whole other level. The product I'm talking about is "Hush" Cream Colour Base from MAC and I am utterly and completely in love. The best way to apply this is with your fingers, simply starting off by picking up some product with a spatula and warming it up on your hand or as I prefer; the inside of my hand, since I feel like it gets warm and creamy a lot faster. (Just remember to clean your hands before!) 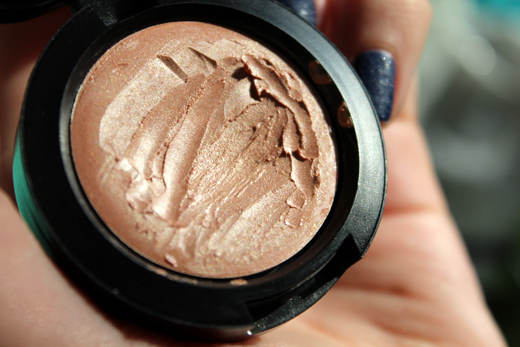 When it's nice and creamy, just "tap and roll" your finger onto your cheekbones. And the result? 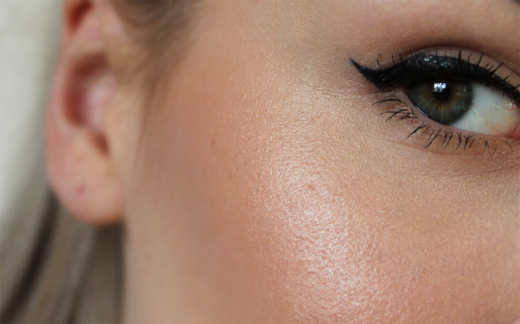 A fresh, dewy highlight that will keep looking better through the hours of the day. Absolutely stunning!